Three Shah Deniz Consortium members -- Azerbaijan's state energy company SOCAR, British BP and France's Total -- will get a total direct stake of 50 percent in Trans Adriatic Pipeline (TAP), the pipeline route connecting the resource-rich Caspian region to Europe. 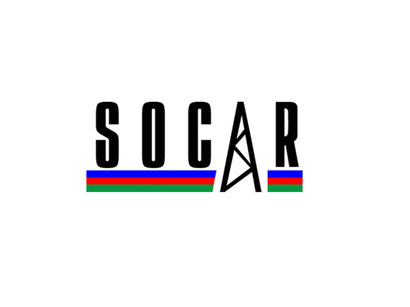 SOCAR President Rovnag Abdullayev said that SOCAR and BP will get 20 percent each while Total will acquire 10 percent. He said work is currently underway on the acquisition process. Earlier a TAP source told Trend news agency that the process can be completed within 30 days following the decision made on the selection of the project as the route to transport Shah Deniz-2 gas to Europe. Abdullayev said that the Shah Deniz partners will agree upon and sign all agreements and contracts for the export of Azerbaijani gas to Europe by late 2013, which will enable them to take a final investment decision on the Shah Deniz 2 project by late this year. He noted that the confirmed gas prices have been received from buyers and now work is underway over the contracts. Abdullayev went on to say that the work also continues on the Trans-Anatolian gas pipeline (TANAP), which is a part of the route of Azerbaijani gas deliveries to Europe. TAP project is designed to transport gas from the Caspian region via Greece and Albania and across the Adriatic Sea to the south of Italy and further to western Europe. The TAP route will be approximately 870 kilometers long (550 km in Greece; 210 km in Albania; offshore Adriatic Sea - 15km; Italy 5 km). TAP's initial capacity will be 10 billion cubic meters per year, but it will be easily expandable to 20 billion cubic meters per year. The 20 billion cubic meter/year TAP pipeline, being developed by a consortium of Switzerland's Axpo (42.5%), Statoil (42.5%) and Germany's E.ON Ruhrgas (15%), plans to transit gas produced at Shah Deniz via Greece and Albania, and then across the Adriatic Sea to Italy and further into Europe. Reserves of the Shah Deniz field are estimated at 1.2 trillion cubic meters of gas. The contract to develop the offshore Shah Deniz field was signed in June 1996. The shareholders are: BP (operator) and Statoil with 25.5 per cent each, NICO, Total, Lukoil and SOCAR with 10 per cent, and TPAO with 9 per cent.